Lagos (AFP) - The Islamic State group has claimed to have killed 118 people in its self-styled West Africa province in the last week, after a series of attacks against military bases in northeast Nigeria that have raised fears of a resurgent Boko Haram. The Islamist militant group said in a video posted online late on Thursday that it conducted five operations in Chad and Nigeria between November 15 and 21, according to the SITE Intelligence Group, which monitors jihadist activity. 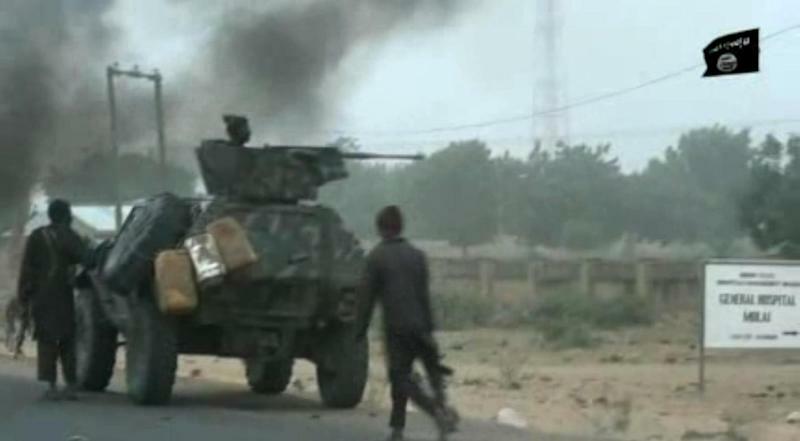 No other details were given but the claim follows recent attacks on army bases in Borno state, northeast Nigeria, which has been the epicentre of the deadly nine-year conflict. Security sources said at least 44 soldiers were killed in an attack in Metele village, near the border with Niger, on Sunday, although one soldier who escaped gave a higher toll. "The truth is we lost more than 100 men because we were quickly routed," he said on condition of anonymity from the Borno state capital, Maiduguri, on Friday. "We were outgunned, so we tried to fight. We realised it was unrealistic so we decided to leave." Most of the soldiers were killed as the trucks they were in tried to crash through a perimeter fence at the base but got stuck. Senior officers were among the dead, he added. Even a search team that came to find the bodies of fallen soldiers on Tuesday was attacked, the soldier said. AFP has reported at least 17 attempts to overrun army bases since July. Many have been claimed by the IS-backed Boko Haram faction, Islamic State West Africa Province (ISWAP). Security analysts said more attacks were expected in the run-up to February 16, when Nigerians go to the polls to elect a new president and parliament. But Yan St-Pierre, a counter-terrorism specialist with the Modern Security Consulting Group, said there were implications beyond Nigeria's borders. The intensity and regularity of recent attacks indicated ISWAP now had "a capacity for sustained warfare" and "a significant number of fighters and materials" at its disposal. Asked whether that meant external support from IS remnants from elsewhere, he told AFP: "Without a doubt." He added: "ISWAP's attacks occur against military and foreign targets with increasing frequency in Nigeria, Chad and Niger, with an increasing presence in Cameroon." That "not only demonstrates that ISWAP has the capacity and the mobility to successfully organise attacks in multiple areas but that its interests are fully regional", he said. "Put in the context of expanding IS activity in the Sahel -- especially eastwards -- this regional focus is an important change that affects ISWAP military operations." More than 27,000 people have been killed since the insurgency began in 2009 and some 1.8 million are still homeless, as aid agencies battle the humanitarian fall-out of the fighting. President Muhammadu Buhari, who was elected in 2015 on a pledge to defeat Boko Haram, has claimed the jihadists were "technically defeated". The recent attacks have cast doubt on that assertion and the main opposition Peoples Democratic Party (PDP) is questioning Buhari's security record. PDP presidential candidate Atiku Abubakar sent a condolence message to the families of those who were killed and said the losses were "a clear sign that our troops need to be better funded and better equipped". Soldiers have complained of being over-stretched and under-resourced. Senate leader Bukola Saraki said a delegation of senators would travel to the northeast to visit frontline troops, as others questioned the effectiveness of the counter-insurgency. Peter Ayodele Fayose, a former state governor and leading PDP figure, added: "It is time that we face the reality that Boko Haram is not technically defeated." Amaechi Nwokolo, a security analyst at the Roman Institute of Security Studies in Abuja, said the insurgency had become politicised. "Now, as election season and Christmas approach, we are likely to see an upsurge in attacks. These terrorists are not dumb. They will certainly want to create chaos around the election." Political analyst Chris Ngwodo said the PDP would likely want to make capital out of the current situation but added it had not translated into a loss of support for Buhari or the APC. 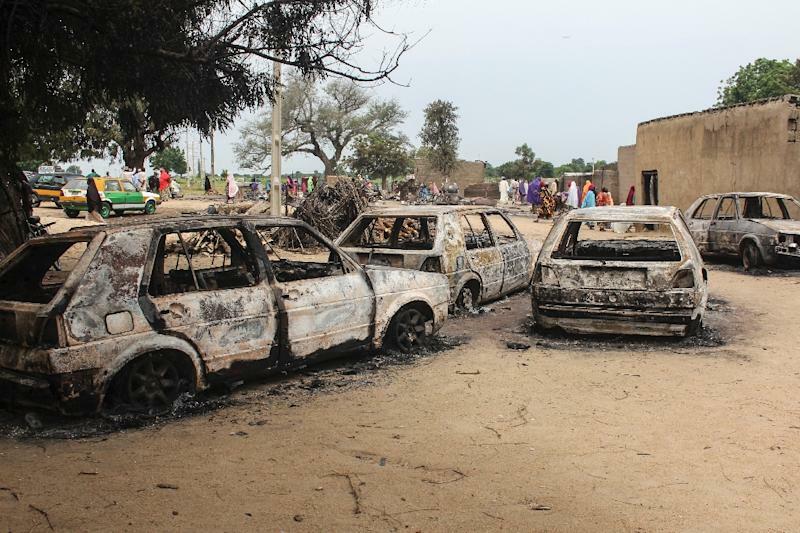 "I can't see that these attacks have shifted public opinion here," he said from Maiduguri. "Borno still feels like Buhari territory. "The opposition will look for chinks in the armour of the ruling party but I don't know if they can generate the kind of traction from these kinds of incidents."